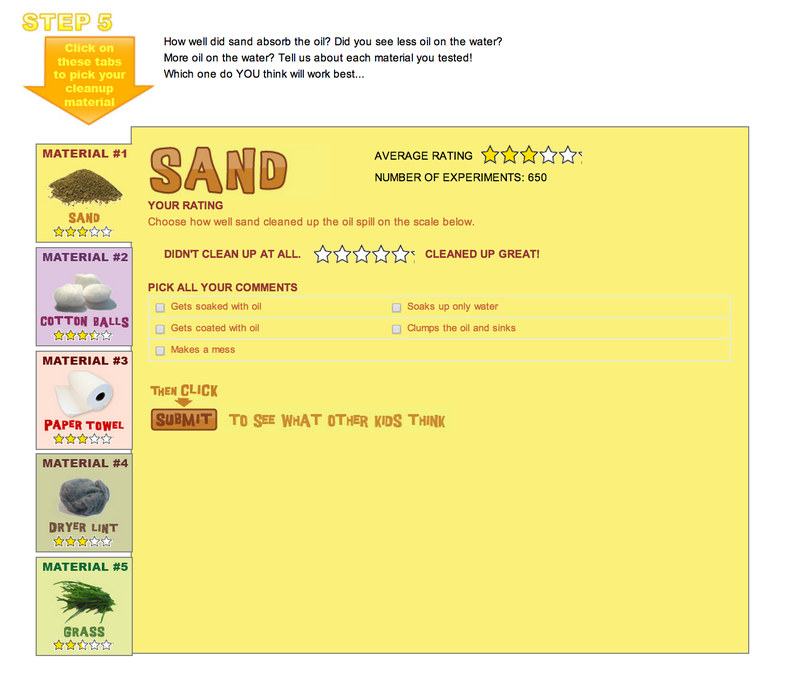 Super Science Interactive Website | The Techie Teacher® . 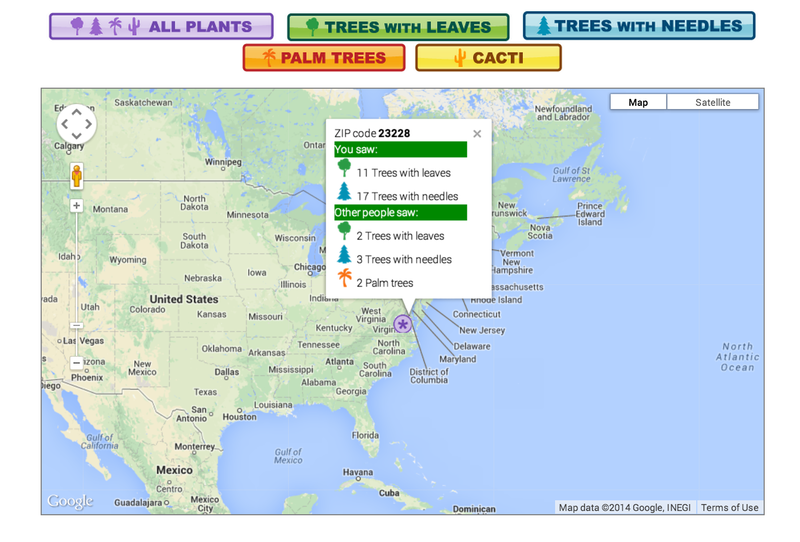 Once you enter your results, the map will show your location and what others observed in the same area. 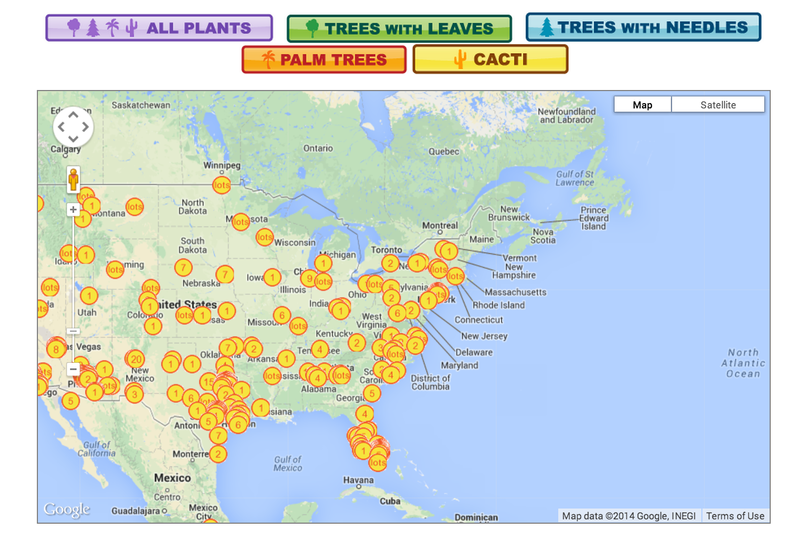 If you click on a specific type of tree it will show you a count across the country. 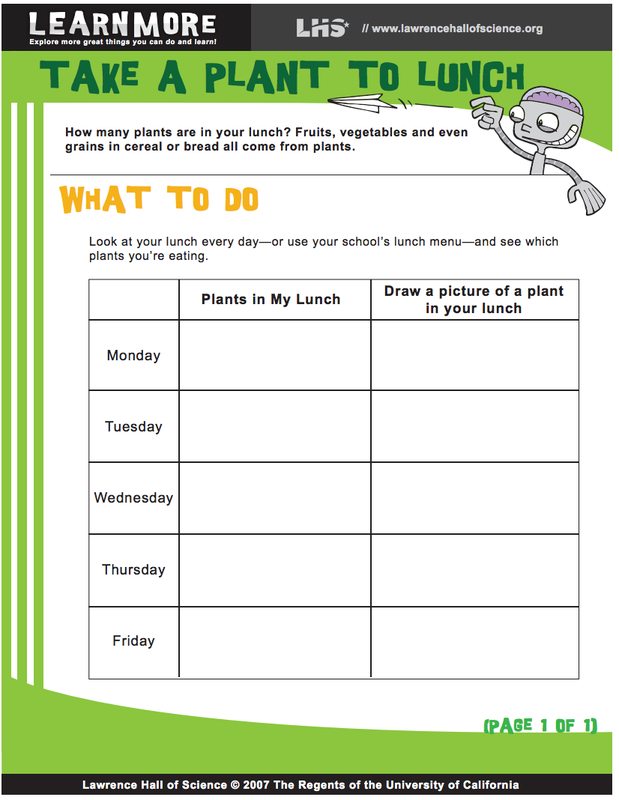 In the same section there are hundreds of resources available that will have your students/children investigating all sorts of topics related to plants. 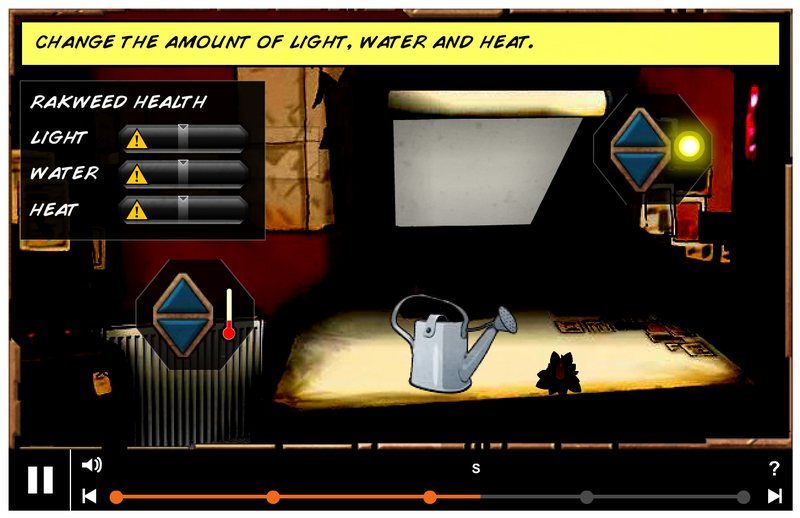 There are even fun interactive activities linked in that really promote critical thinking and problem solving! 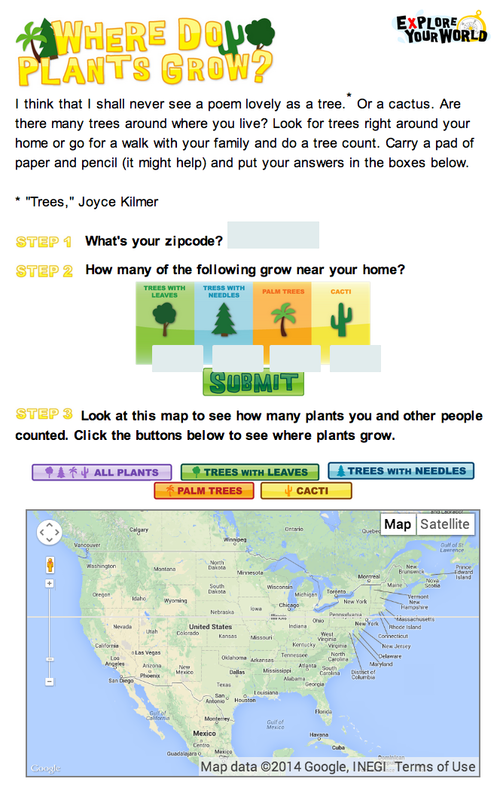 I love how this site prompts students to make hypotheses and shows what other kids around the world were thinking about the very same topic. The Measure Yourself section of the site was interesting too. 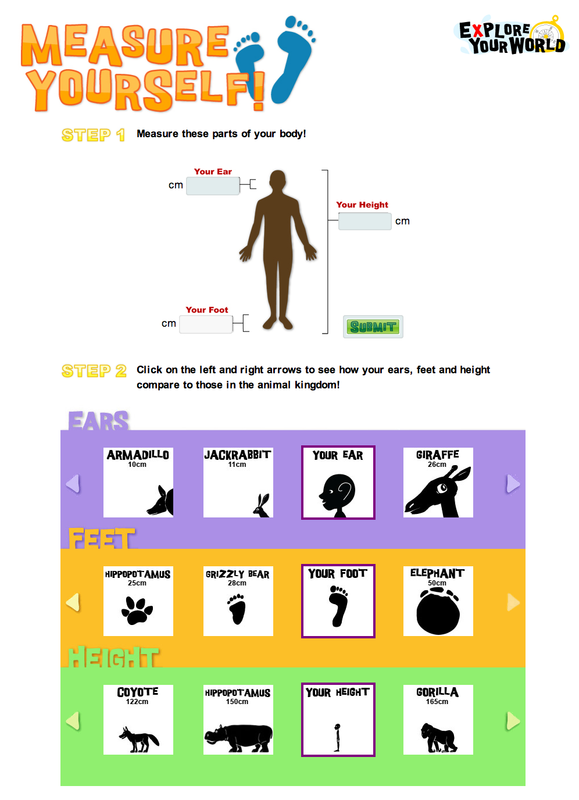 It asks you to measure certain parts of your body in centimeters and then compares the same parts of the body to that of different animals. 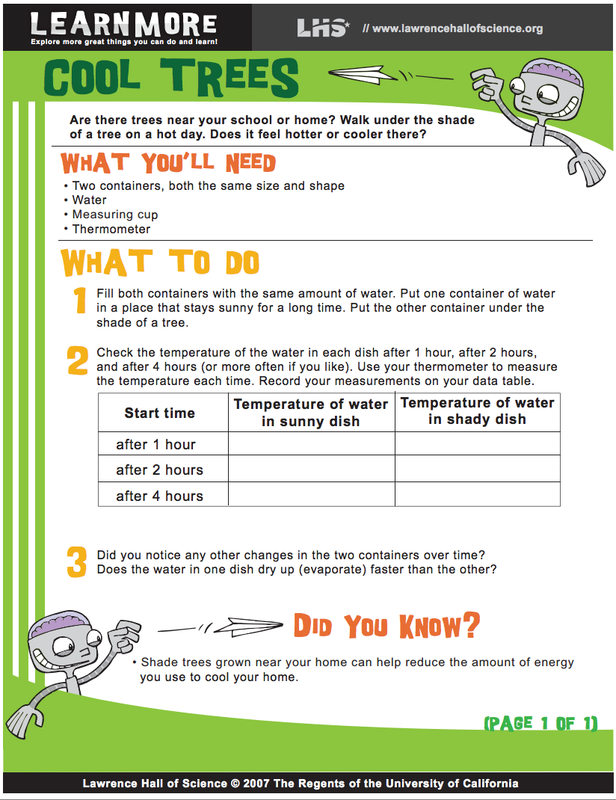 This really helps put measurement into perspective for children. Okay, one more! 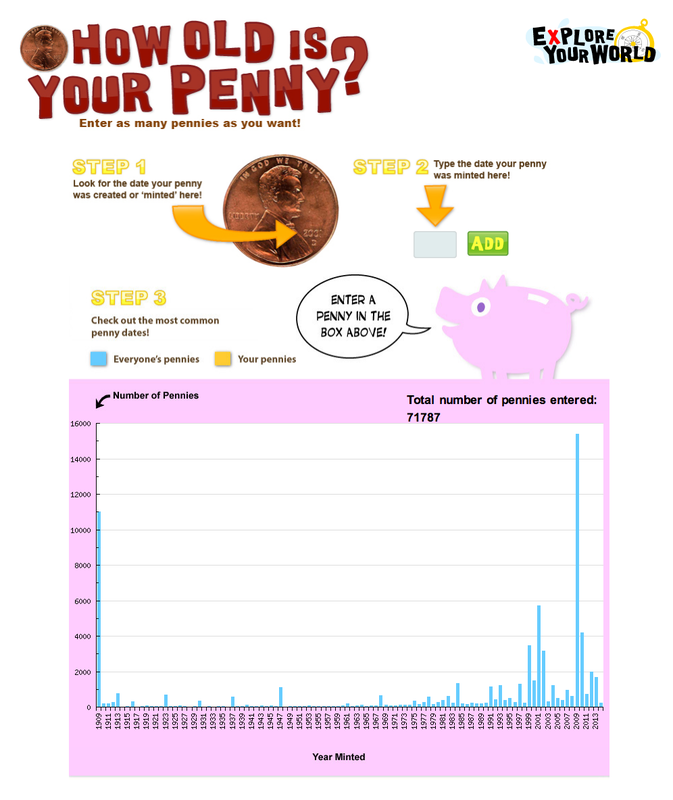 I really liked the How Old Is Your Penny activities that requires you to find a penny, locate the date that is was minted and enter your data. Children would be very excited to look at the graph and compare the dates that other children have entered. What a great real life experience! 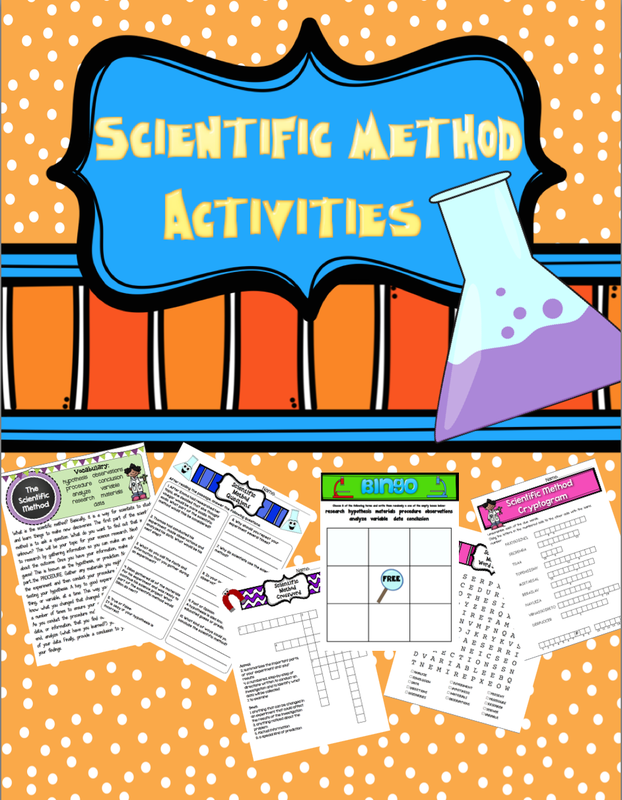 Each section comes with hundreds of activities related to the topic of your choice. Definitely check this site out if you haven't used it! I have never seen that site before! It looks like so much fun! Thanks for sharing, Julie!